What began as a character flaw during school time God began to use for His Kingdom work later on. I found out God had built me to teach and preach. There are many aspects to being a youth worker that makes a difference in the lives of students. Being able to set and keep a budget for all the many ministry activities is certainly important. Attending as many games and events as you can to encourage your youth is a noble endeavor as well. I believe one of the most neglected aspect to leading a group of students, however, is the teaching of the Bible. In the end, I believe, that it is the truth of scripture that is ignited by the Spirit of God in the hearts of students that leads to transformation. So, how do we teach it well? How do we invest our time and energy into crafting a message for students that makes an impact? First, you can’t teach others what you have not learned yourself. No matter what method you use to deliver your message, it will be ineffective without that message coming from a place of personal conviction. This is how you move from just trying to read words on paper or stumbling through an outline to speaking from your heart. It is incredibly difficult for a youth worker to encourage their students to move to a place in their faith that they have never gone themselves. Know your messages well because of its application in your life not just it information in your brain. Second, there is a difference between having to say something and having something to say. When putting together a message for your youth group, make sure that you have pin pointed your bottom line for the truth you are conveying. If you had to describe your message in a single sentence, what would you say? What do you want your audience to do with the wisdom you are offering them? Don’t waste your students time, make sure that what you are teaching is compelling enough that their attention is commanded and their lives are changed. Third, develop a clear structure for your message so your audience can follow along. Without a clear structure your messages can end up being one big run-on sentence or a droning lecture. A structure helps you move from stating a problem to offering a solution in a way that can be easily tracked. You may have studied up on well known methods and outlines, or you may have developed your own. If you have something that works well, use that. Begin your message by clearly stating the problem or felt need that most everyone shares in the room concerning a certain topic. Illustrate the problem with a relatable story or example. For instance, share how many followers of Jesus want to grow but don’t want to put in the work. It’s like trying to gain muscle mass without lifting any weights. This is the problem. After you state the problem, take your audience to the solution. Begin with a scriptural solution, teaching the truth of scripture. For example, share Jesus’ message about counting the cost of discipleship in Luke 14:25-34. At the end of the message challenge the listeners to commit to something that would cause growth. Maybe a Bible reading plan or daily prayer time. View your lesson as a story. First, tell your story. Here is how you have been affected by this particular topic. Talk about how you experienced bullying or when you experienced doubt. Tell a story from the Bible of someone who experienced what you experienced. Then, invite your group to consider what lessons they could learn from both your story and the Biblical story. Then help them see how this truth can transform their story. Let scripture and your experience inspire them in their own lives. Choose the passage of scripture you will be teaching and look for a way to make it into three clear and distinct points. These points should build on one another or complement one another. After you have walked through your points with an accompanying scripture and illustration or story for each point, offer a practical application for life change. So whether you have the gift of gab, like me, or tend to be more reserved, you can use these simple ways to make your messages moving and your lessons lifechanging. 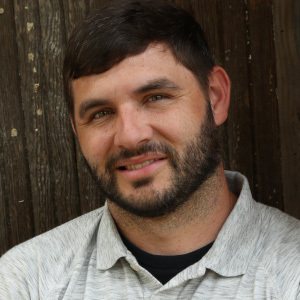 Trevor Miller is a graduate of Columbia International University where he earned his degrees in youth ministry, outdoor leadership and Bible. He has a background working in student ministry and currently serves as the Pastor of Men’s and Young Adult Ministries for Mt. Horeb United Methodist Church in Lexington, SC. Trevor has a passion for creatively communicating the transforming power of the gospel. He and his wife, Jenna, currently reside in Lexington with their 2 boys, Eli and Owen.